With family & friends travelling from far and wide to celebrate Alexa & Richard's destination wedding in Banff they wanted to create some events where they would get a chance to hang out with everyone before the wedding day. 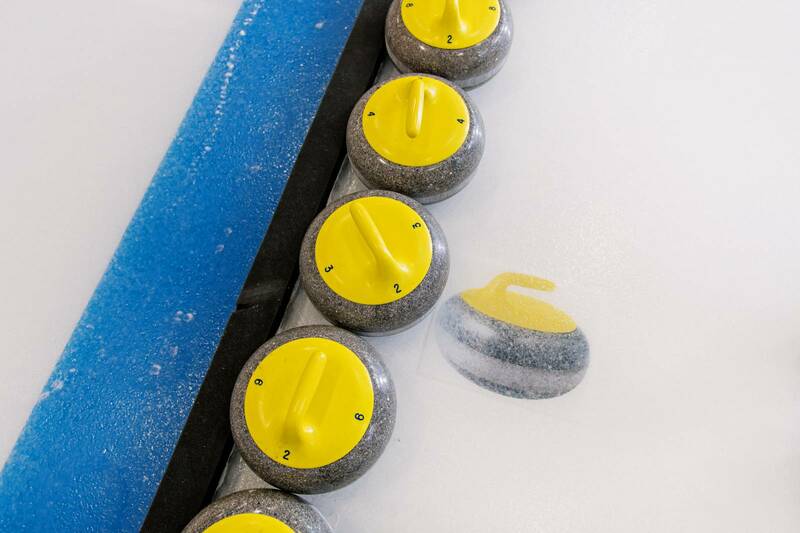 One of those events that I was lucky to be asked to photograph was the Learn to Curl night at the Banff Curling Club. 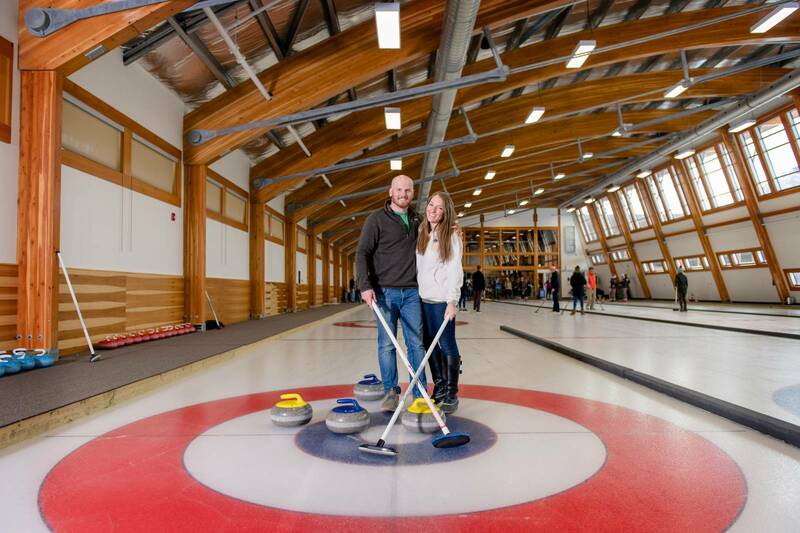 On the Thursday before their Saturday Banff Wedding Alexa & Richard invited loved ones to join them at the Fenland's rec centre where they had rented out the curling lounge and rink for a fun night of learning to curl. It was an incredible night! What an amazing wedding to be a guest at!! Everyone arrived by yellow school bus together and gathered in the lounge to mingle, drink a few beers and listen to what to expect that night. 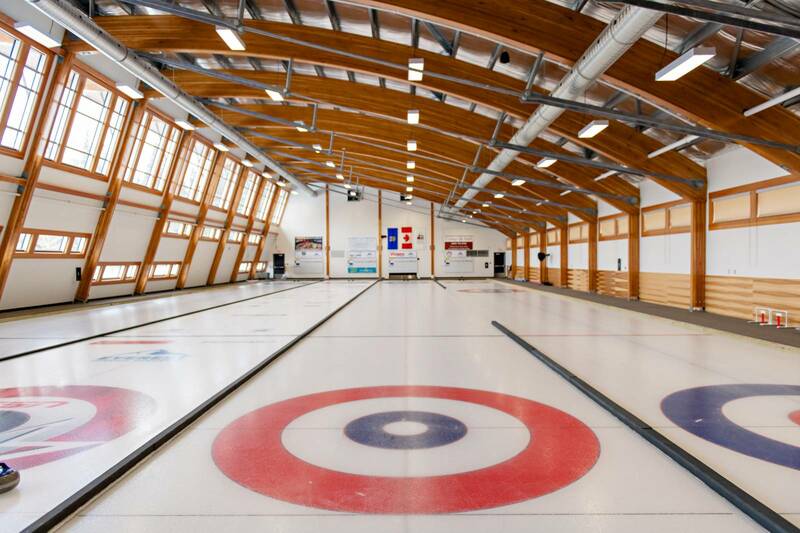 Then everyone was invited into the rink where 3 instructors walked wedding guests through the techniques & history of curling before getting to play several games together. It was so much fun to witness and I loved seeing how much the guests got into it. The perfect set up for what I know will be a really fun wedding day. I can't think of a more Canadian way to welcome everyone to Banff for a wedding week-end.